This image is All Bummed Out Baby from Bella Stamps. Isn’t it cute?! I colored him using Copics. The flap on his tush is paper pieced. I glued tiny pieces of embroidery floss to his head for hair. The sentiment was created and printed using Word, then punched with my SU! Modern Label Punch. The inside is stamped “I just wanted to give you a reason to celebrate a little longer! 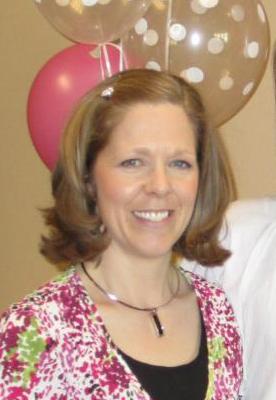 Happy Belated Birthday” from SU! On Your Birthday set. I absolutely love Bella stamps. 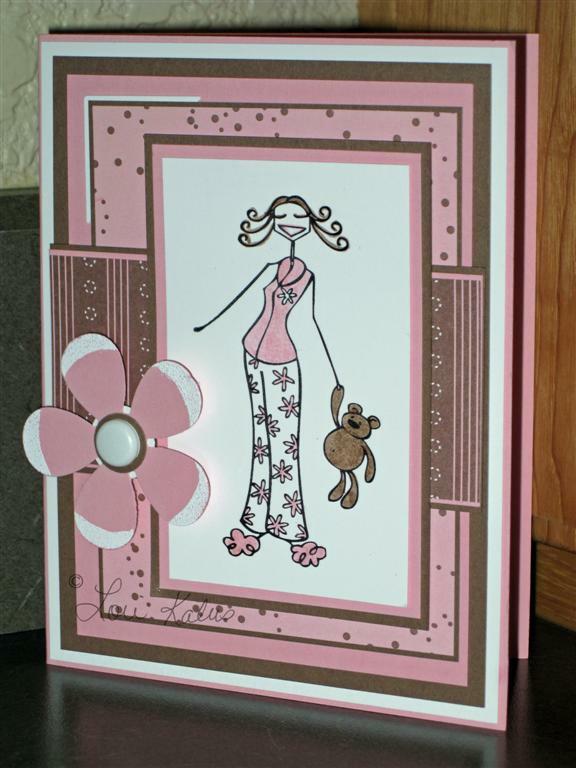 One of my friends is within days of having her baby so I wanted to send her a fun, girly, Craveabella card. She is expecting a boy, so this is probably the last girly thing she’ll get for awhile! Have a great day and stay healthy!! I love the stamp I used on today’s card. 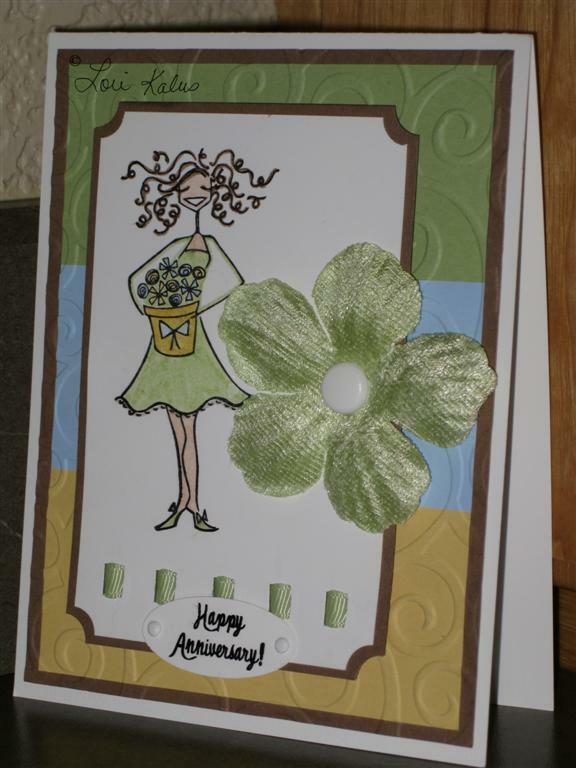 It is Gardenia Greenthumb from Stamping Bella. I’m telling you, I just can’t get enough of these stamps! For a few finishing touches, I glued two Taylor Tots in the upper left corner of my image. They always add such a pretty touch. If you haven’t added them to your collection, you should consider it ;-). 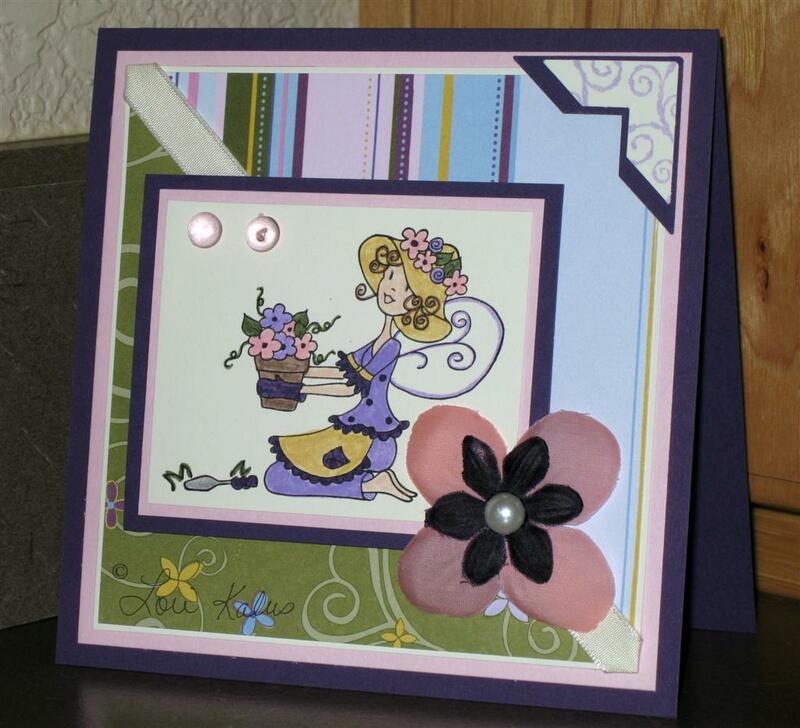 I also stamped swirls on the Vanilla photo corner. It was too boring being plain, so I broke out one of my neglected SU! wheels, Swirl Style. I think it ties in with the swirls in her wings and the swirls in the green DP. 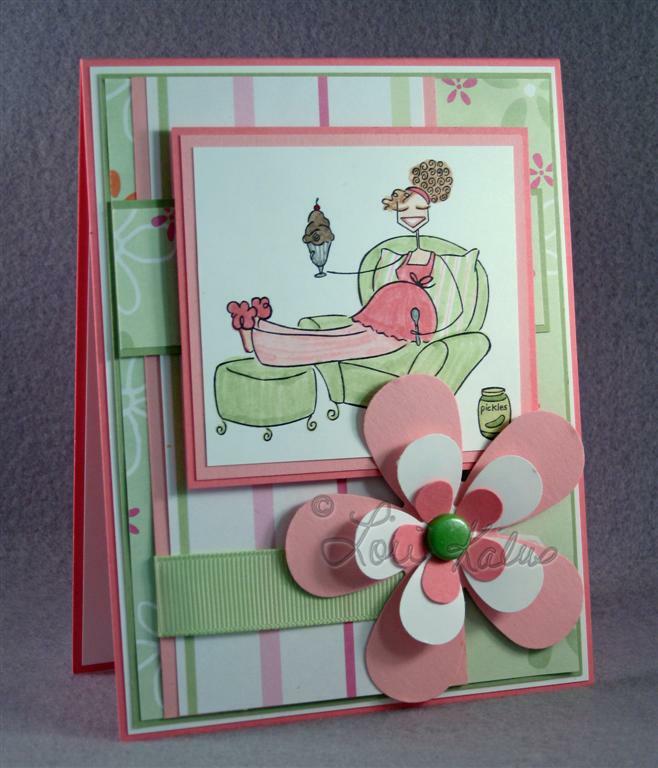 I am in love with Bella stamps! This one is Underthehoodybella. I had a difficult time deciding how to color her without introducing more colors. I colored the chair and table top with my blender pen and soft sky ink pad. The base of the table and chair are going gray. I left her robe and slippers white. After coloring, I thought she needed to sparkle. I went over the entire image with my Sakura Stardust Pen. It added just the right amount of sparkle and toned down the colors as well so they complement the DP better (the DP is by Imaginisce for Press Sake). Bella is attached with dimensionals. In the upper left corner I added two Taylor Tots from Taylored Expressions. My sentiment is embossed with white detail EP. See those scallops? They were made with the new SU! scallop border punch, LOVE IT! This is Billboardabella. Isn’t she cute!? I used almost amethyst, elegant eggplant and Making Memories DP. 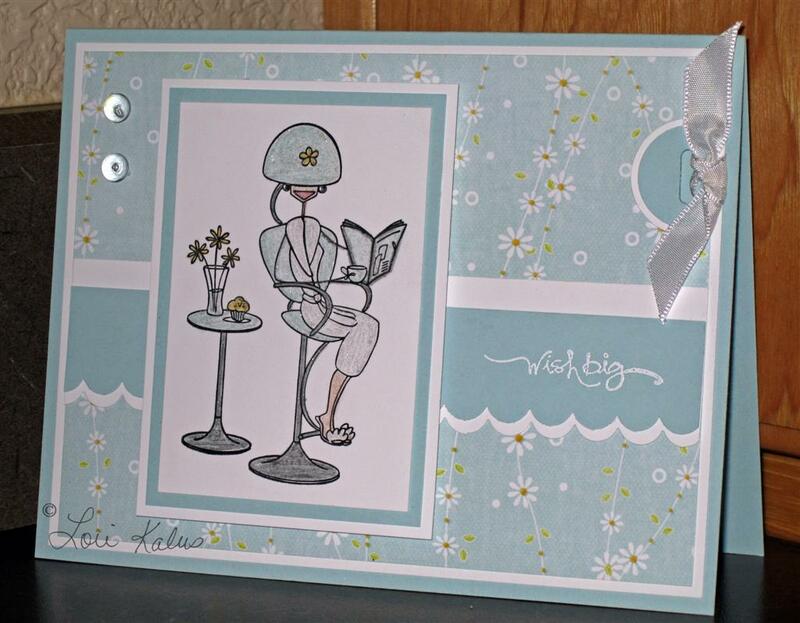 I used my CB Swiss Dots Embossing Folder for the white layer. Both the Bella layer and the eggplant layer are on dimensionals. I colored bella with my SU! markers. Isn’t she cute?! For this card I used SC115. 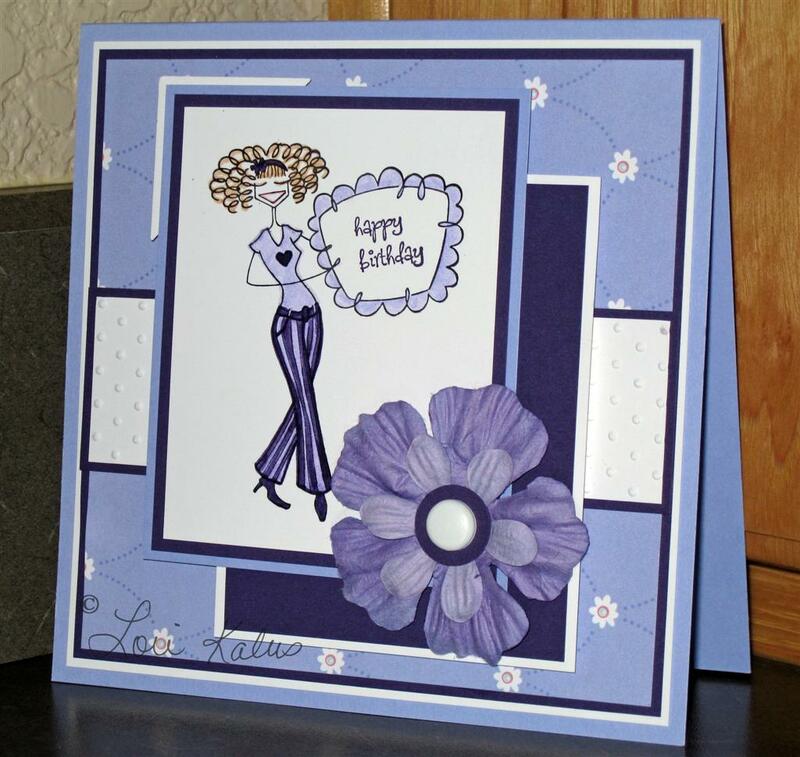 I started by dry embossing my first layer with my Cuttlebug. I think the swirls go with her crazy hair Bella is on dimensionals. I punched slits in the bottom and threaded celery ribbon though, then attached the sentiment with mini brads. I printed the sentiment off with my computer then punched it with my oval punch. The flower is a Bazzill Bling Blossom with a white brad in the center.